RE-TV is proud to present the Horror, Sci-Fi, & Fantasy Channel, a journey that will take you to the outer reaches of space, and to the inner workings of the mind. Sit back with wonder or trepidation, and visit worlds of visions past and future. From monsters to aliens to action heroes, we have it all on HSF. Amazing creatives like Boris Karloff, Bela Lugosi, Edgar Allen Poe and Ed Wood will delight the senses with our restored collection of movies and television programs, streaming direct to you. 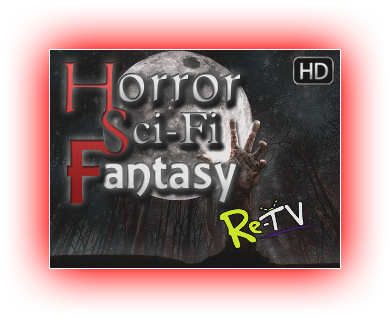 Tune your Roku to the Horror, Sci-Fi, & Fantasy Channel, only from RE-TV.